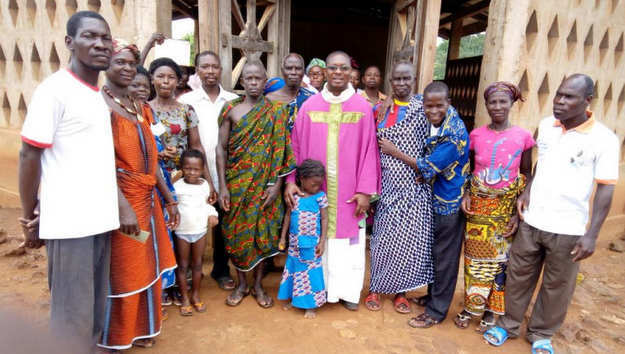 The Diocesan Missions/CRS Office represents two very important organizations that support our missionaries and Catholic workers overseas: Pontifical Mission Societies and Catholic Relief Services. When you make donations to the Propagation of the Faith, Missionary Childhood Association, and CRS Relief Programs, you are directly touching the lives of so many people who look to us, their brothers and sisters in Christ, for support as they work to better their lives and the lives of their families. 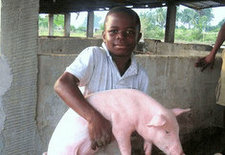 To read stories about mission work being done locally, visit the Maine in Mission section. Pray a rosary for missionaries all over the world and those they serve. 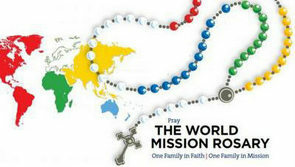 Each color of the rosary represents a different region. Free rosaries are available to all. Contact the Office of Missions for more information. We offer many ways to honor your loved ones. They include enrollment in the Society for the Propagation of the Faith for individuals and families, as well as Masses of remembrance. Masses will be said for your loved ones by missionaries around the world. For more information, contact the Office of Missions. "It's not just charity. It's change." A direct way to help missions around the world is through Missio, a connection with Pope Francis' missions around the world. You can choose the project to which you would like to contribute, whether it's building a greenhouse in Kenya or growing a parish farm in the Philippines. Learn more and Donate today. Catholic Relief Services provides assistance to those in need all over the world. 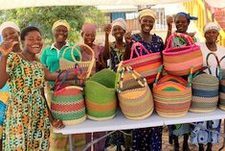 You can help by donating or hosting an Ethical Fair Trade sale. Contact the Office of Missions for details.